With WWE Royal Rumble right around the corner and WrestleMania season about to begin, the most exciting time of year in World Wrestling Entertainment is about to start. With that comes anticipation of the biggest show of the year and the endless rumors about who will be a participant on the show of shows which takes place in the New York/New Jersey Metropolitan Area April 7th, 2019 in Metlife Stadium. On the RAW brand, as we look at potential match-ups for the grandest stage of them all, its clear that Seth Rollins seems to be destined for the big match this year as he has turned up his level of intensity at the request of WWE COO Triple H. There is a possibility this new found fire in the King Slayer could lead him to a Universal Championship Match with current title holder Brock Lesnar. Rollins’ former Shield brother Dean Ambrose has a firm grasp on the Intercontinental Championship and seems likely to carry that belt into WrestleMania with potential opponents like Finn Balor, Elias, or possibly in a multi-participant Ladder Match waiting in the wings. On Smackdown Live, AJ Styles with his new attitude inspired by Vince McMahon looks to be on a rumored collision course with Randy Orton, which would be a battle of two of the most decorated World Champions in history. “The New” Daniel Bryan continues to reign as WWE Champion and though the Miz is currently teaming with Shane McMahon heading towards the Royal Rumble for a tag team championship opportunity, it’s Hubbard Wrestling Weekly’s prediction that the Miz will win the Royal Rumble match as a surprise entrant and face Bryan for the title again, but this time with Miz as the clear fan favorite. To participate in any Wrestlemania match means you are on top of your game, but to main event the biggest pay per view in the wrestling industry means you have reached the highest heights any wrestler can reach. 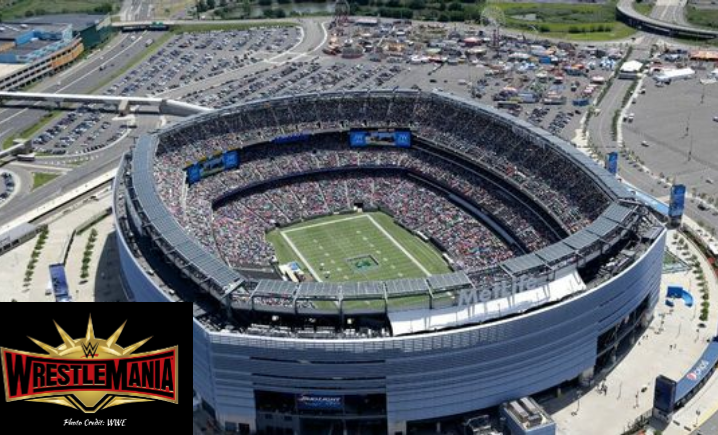 Which leads to the question: Who will be the main event of Wrestlemania 35? 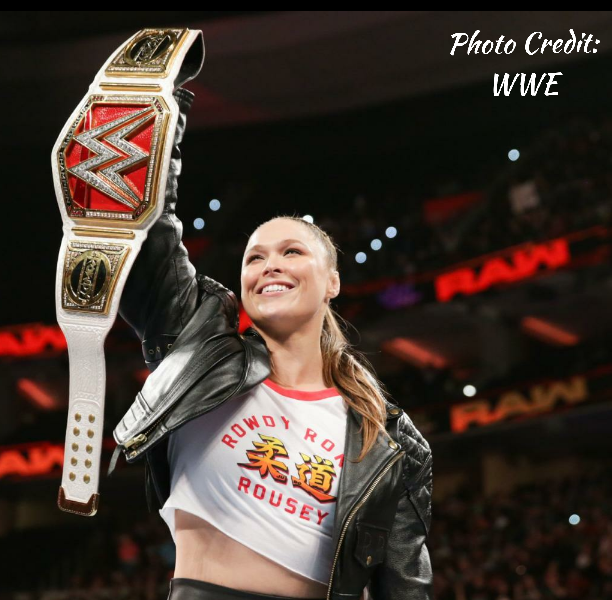 It’s this writer’s opinion that the main event at the biggest show of the year in 2019 could likely be a Women’s title match for the first time in history. 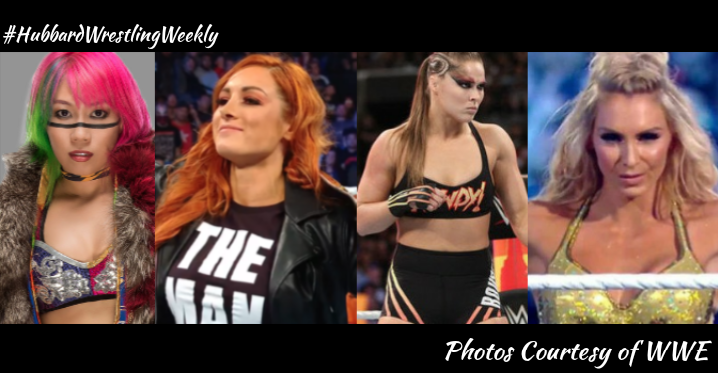 Here is a special look at the four ladies Hubbard Wrestling Weekly feels are the prime candidates to make history this coming April. When Asuka arrived in WWE (specifically the NXT brand) in 2015, the world was immediately put on notice that she would rule NXT’s women’s division from start to finish. Her strong reputation before she arrived in WWE was only enhanced when she defeated Bayley for the NXT women’s championship and went on a winning streak through her NXT career, through RAW and onto Smackdown that WWE acknowledged eclipsed the Goldberg winning streak that led him to the WCW championship 20 years ago. After losing her first match in her first attempt at a main roster Women’s championship to Charlotte Flair at Wrestlemania 34, Asuka would go on a bit of a losing streak seemingly losing all the momentum she had before her 1st loss. Multiple losses to Carmella and a few tag team loses seemed to put Asuka down the list of potential future champions, but out of no where, after a qualifying victory on Smackdown Live, Asuka found herself in the 1st ever women’s TLC match on December 16th of last year for the Smackdown Women’s championship against Becky Lynch and Charlotte Flair. With the entire world wondering who would walk out as champion between Becky and Charlotte, Asuka (with the help of Ronda Rousey) would shock the world and become the Smackdown women’s champ for the first time. 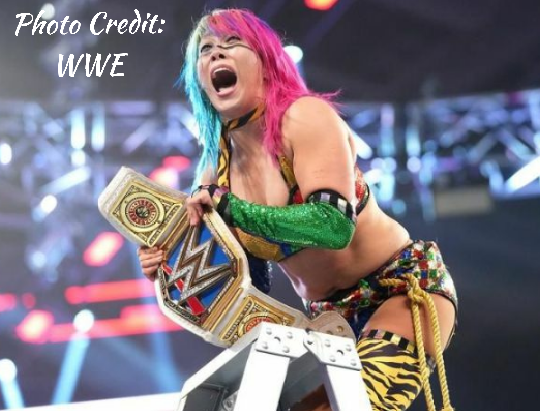 This unexpected, yet deserving title victory has put Asuka on top of the mountain as Wrestlemania season begins putting her in prime position to walk into the show of shows as champion should she be able to survive her next challenger the Royal Rumble. And speaking of her next challenger…. There is no one in the WWE, male or female who has had a better six month stretch than Becky Lynch. Sure, you have marquee names like Ronda Rousey and Brock Lesnar. Yes, you have WWE mainstays like Roman Reigns (get well soon), AJ Styles, and Daniel Bryan. 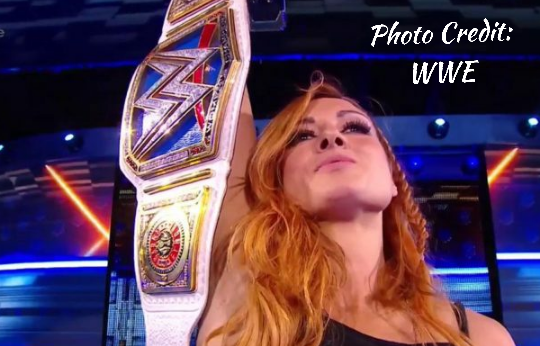 All that withstanding, there has been no one possibly in the entire professional wrestling industry who has taken their already successful career and absolutely skyrocketed it to new heights like Becky Lynch. Let’s be clear… Becky Lynch has been champion before. As a matter of fact, she was the first ever Smackdown Live Women’s champion back in 2016, however she seemed to always remain in the shadow of the other members of the ‘Four Horsewomen’. Sasha Banks and Bailey made names for themselves in a classic Iron Woman match in NXT which led to Sasha winning the Raw Women’s championship on 3 occasions, Bayley winning the Raw Women’s title and retaining it at Wrestlemania 33, and Charlotte Flair living up to her family name by winning every women’s title WWE/NXT has to offer on multiple occasions. It was not until Summerslam ’18 when Becky was originally scheduled to get her long awaited Smackdown Women’s championship match against Carmella, only to have Charlotte added to the match at the 11th hour. Flair would go on to win the title in the triple threat title match and it was after the match that Becky Lynch changed her attitude and the course of her career forever. After congratulating Charlotte on winning the title, she attacked her to the delight of the crowd symbolically letting the world know she would not be confined to the shadows any longer. Becky’s friendship with Charlotte was over and her ascension to the top of WWE began with one swift beatdown of her former best friend. The next month Becky would regain the Smackdown Women’s championship and from that day forward would refer to herself as “The Man”, a nickname which let the world know she was the best in WWE… man or woman. This woman has been the undisputed most popular name in WWE since that time and kept that momentum going by leading Smackdown’s women’s division in an invasion of RAW which saw Lynch tap of Ronda Rousey, and though she got punched in the face and legitimately injured by (a reckless) Nia Jax, Becky remained the best WWE had to offer even in her recovery from the Nia Jax inflicted concussion. She would eventually return to the ring and would lose her title in a TLC match to the current Blue Brand’s women’s champion Asuka, but there is no doubt Becky Lynch is still the hottest name in World Wrestling Entertainment and seems to be on a collision course with the woman she was scheduled to face at the Survivor Series before her injury, Ronda Rousey. Will she be the main event of Wrestlemania? Hubbard Wrestling Weekly says YES, but the last of #HWWeekly’s 4 candidates for this year’s Mania Main Event might throw a wrench into those plans. Becky Lynch, Sasha Banks, Paige, AJ Lee, Alexa Bliss… These names and others are synonymous with the new age wave of professional wrestling Stephanie McMahon accurately named the Women’s Evolution. Since Wrestlemania 32 when the word Diva was done away with and replaced by the correct word, Superstar, WWE has seen new heights in its women’s division while arguably other aspects of WWE programming has been highly criticized. With all the tremendous female competitors that have been the highlight of WWE television over the past few years, arguable there is one woman who has been more dominant since her call up to the main roster in 2015 than anyone, and she happens to be the daughter of the 16-time world heavyweight champion who’s legendary nickname is Nature Boy. Charlotte Flair is the most decorated female competitor in history as a former NXT, Divas, 2X Smackdown Live, and 4X RAW Women’s champion. She and Sasha Banks changed the game forever with the first ever women’s hell in a cell match, she’s had countless wrestlemania moments and as the last Divas champion and first Women’s champion of the modern era, Flair was the official focal point of “divas” being no more and SUPERSTAR being the new and improved name for the amazing female wrestlers who give us thrill after thrill each and every week. With the emergence of Becky Lynch through 2018 and into 2019, Charlotte fell to #2 on the Smackdown brand, but after Becky’s injury, Flair stepped in at Survivor Series and gave Ronda Rousey the worst beating of her career. Its because of this and her amazing resume that makes her a prime candidate to be part of what #HWWeekly feels will be the 1st ever Women’s Main Event in Wrestlemania histry April 7th, 2019.